My hope is that the above headline was read to the melody of Eminem’s hit song “Without Me.” What a classic. You know what else is classic? Q*Bert is classic. To be completely honest, which is something we always strive for, I did not play Q*Bert as a child. I was born later in the 20th century, meaning by the time I was playing video games, I was on the SEGA Genesis. From what I know, there was no Q*Bert, or at least not any popular title utilizing the character of Q*Bert. Moving right along, a new Q*Bert game called Q*Bert Rebooted is available on Google Play this morning for $6, made specifically for owners of the NVIDIA SHIELD Android TV box and SHIELD Tablets. 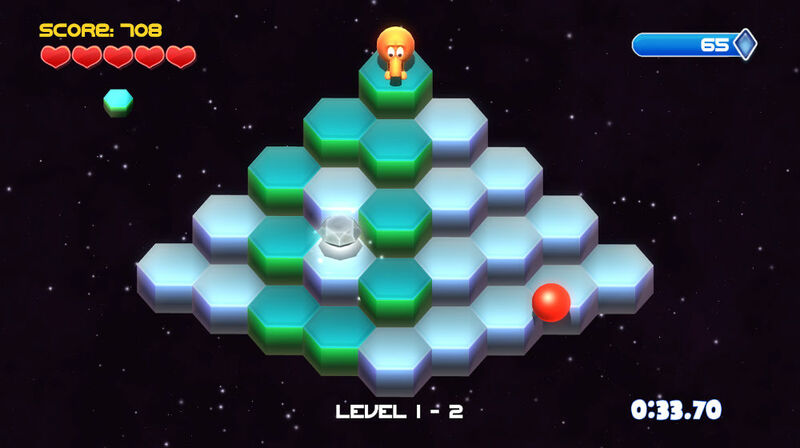 For fans of the original Q*Bert titles, I think you will be quite happy with this release. The game features classic arcade action, in addition to 30+ 3D rebooted levels to play through. Given this title is made for NVIDIA devices, you can expect the graphics to be pretty insane for a Q*Bert title, with Rebooted featuring new particles and lighting systems, physically based shaders, and better frame rate. Check out the full list of features below. 2 Fun Play Modes, Classic Arcade and Q*bert Rebooted! 8 Exclusive Music Tracks By Env! TV User Interface with NO ADS! If you want to relive your young adulthood, sweating at the local arcade while you gulp down a Hi-C or whatever else the government had forced down your throat, have at it.